Who says a winter yard has to be drab? 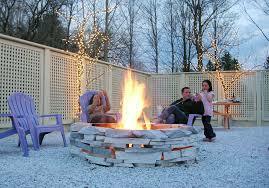 There are a few things you can do to make a winter yard come to life and not look unattended to. We will touch on a few winter lawn ideas that will have your yard dazzling. After you have prepared your lawn for the winter you can dress it up a little. Lights are a great way to catch the eye of your company or people passing by. Lights always go well with winter time, especially during Christmas time. You can be creative and add different fixtures to put your lights on including using your fence or any other thing you might have crafted. There are many sculptural pieces you can shop for to fit your yards lawn through places like Amazon, Sears or your local home & garden center. 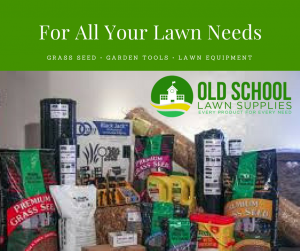 We do offer some products at Old School Lawn Supplies you can browse through as well. Add some color to these sculptures and you can visually arrange your lawn to satisfy any eye that gazes upon it. Do you not sit outside in the winter? Just because it is winter doesn’t mean you don’t have to hang out in the yard. 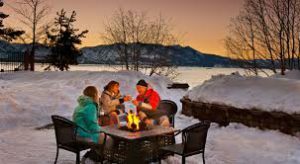 You can set up a little sitting area surrounding a fire by using Faux wood seating and a really nice fire pit for warmth to indulge in a backyard jamboree. These are just a few of many ideas that can get your creative juices flowing to make your winter lawn look alive this winter. Thanks for stopping in and feel free to leave any ideas, questions or comments below in the comments section. When Is Your Lawn Dormant? Hello really wonderful ideas! I don’t use my yard during winter, we all feel happy when summer is here as we can sit out. But this post does not make winter feel as depressing. Looks like we can add some life to the yard now with these creative ideas. I love the fire setting idea too. Thank you for sharing. I am glad you liked the post. And yes just because you don’t hang out there does not mean you should not add life to your yard. Actually, you have those mild winter days sometimes to consider. I do understand. Some people love being outdoors in the winter and some don’t. If you were raised in a state that has cold winters you can deal with it a little better. 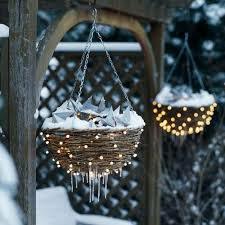 But you can always make your yard look alive even if you don’t hang out there much in the winter. You are very welcome. I hope you got a chance to browse around at Old School Lawn Supplies to see if there was something that would work for you.